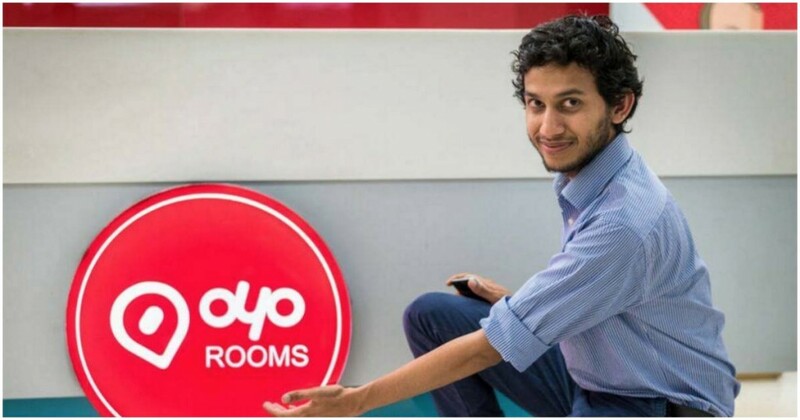 On the day that Oyo Rooms has raised a billion dollars in funding, founder Ritesh Agarwal has another reason to celebrate. Agarwal, at the age of 24, has become the youngest Indian to find place in Hurun’s rich list for 2018. Agarwal, a first time entrant on the list, now has a net worth of Rs. 2,600 crore. The list had been released on the same day as Oyo announced its $1 billion funding round, and raised its valuation to $5 billion. It’s unclear if Agarwal’s net worth on the list includes its latest funding round. If it doesn’t, it’s possible that his net worth is considerably higher. Agarwal isn’t the only entrepreneur who’s seen his net worth soar after his company joined the unicorn club. Byju Raveendran, founder of Byju’s, saw his net worth rise 230% this year after a fresh round of funding which valued his company at greater than $1 billion. Raveendran now has a personal net worth of Rs. 3,300 crore. Mu Sigma founder Dhiraj Rajaram, who’d faced business challenges over the past few years, including his divorce with his wife and Mu Sigma cofounder Ambiga Subramanian, saw his personal net worth rise 184%, and is now worth Rs. 7,100 crore. Ambiga Subramanian, who’d quit the firm last year, now has a net worth of Rs. 2,500 crore. Apart from venture funded firms, some bootstrapped companies have also done very well for themselves. Zerodha, the discount brokerage firm based out of Bangalore that’s never raised external capital, is now valued at over $1 billion. Zoho, which builds customer-management software and is based out of Chennai, has also made its founders very rich — cofounder Vembu Radha has a net worth of Rs. 5,800 crore. Vandana Luthra of the VLCC beauty group has a personal net worth of Rs. 1,300 crore. There’s little change at the top of the list though. Mukesh Ambani is India’s richest man for the seventh year running with a personal net worth of Rs. 3,71,000 crore. Reliance’s stock has rallied more than 20% over the last few months, and Ambani’s net worth has soared as a result. This was a particular fruitful year for Amabani — he added an average of Rs. 300 crore every day to his personal net worth every day during 2018.